There is nothing more beautiful than the magic of pregnancy. A child is being created right inside of your body. One that you will cherish and love for the rest of your life. Along the way the mind and body will undergo a series of changes that are a natural part of the process. Fatigue, restlessness, discomfort, and mental stress are all present as your body adapts. Floatation Therapy can provide the nourishment you seek during these important times. Imagine when you learned how to ride a bike. Experiencing complete freedom as you rode down the block left you wanting more. Your baby views things the same way. Being able to see, touch, or hear for the first time must be quite the treat. Which means that he or she may not necessarily want to go to bed at the same time as you. How could you resist the urge to explore the womb instead of waiting around for 8 hours to see what mom has planned for the day? Wouldn’t it be nice to finally catch up on some much needed zzzz’s? Studies suggest that just 1 hour of floatation therapy is equivalent to 4-6 hours of deep rest. With stimulation to the mind and body no longer present, the brain naturally enters into the theta state (commonly recognized right before deep sleep). Giving mom the opportunity to recharge those batteries again. It is estimated that up to 80% of women report back pain during pregnancy. With an average of 35 pounds added to the front of the body, the spine is frequently put in compromising positions. 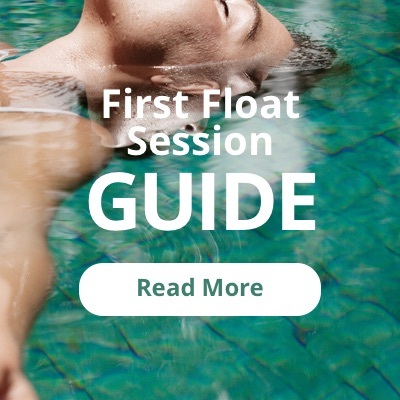 Due to the high water density experienced while floating, your entire spinal column is able to take a much needed break, as you float effortlessly on the surface. Your lungs and diaphragm are able to open up as the forces of gravity are lifted from your body. Weightlessness is quite refreshing. A holistic medicine that has provided relief for centuries. Epsom salt, is comprised of magnesium and sulfate, minerals which are most readily absorbed through the skin. The tranquil waters that set your body afloat are super saturated with 1,000 pounds of this salty magic, just waiting to nourish your body. Extra fluid is being produced throughout the body during gestation, which can lead to swelling of the hands, feet and ankles. Magnesium and sulfate have anti-inflammatory properties that will greatly reduce those feelings of discomfort. Finally, your shoes don’t have to feel like a doctor checking your blood pressure anymore. “A womb within a womb.” Many float enthusiasts describe floatation therapy as being very womb-like. The perfect setting for some bonding time with your little one. Which is why mothers-to-be who float regularly (after the first trimester), typically report feeling movement much earlier than normal. Experiencing deep states of consciousness while floating can elevate the connection between you and your baby. And that is quite simply, priceless. Thanks to The Float Master at http://www.feelregenerated.com/ for this great article. View Original Article. Hi everyone, it’s my first visit at this site, and article is really fruitful in favor of me, keep up posting these articles.